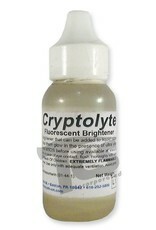 Cryptolyte is a translucent liquid additive that causes cured Smooth-On silicone rubbers, urethane rubbers, plastics or foams to glow a bright blue under a focused ultra violet light source (blacklight). 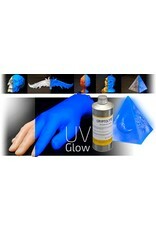 You will not see the glow effect without an UV light source. 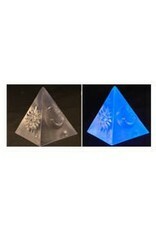 When mixed at low percentages it will not affect clarity or color of material. 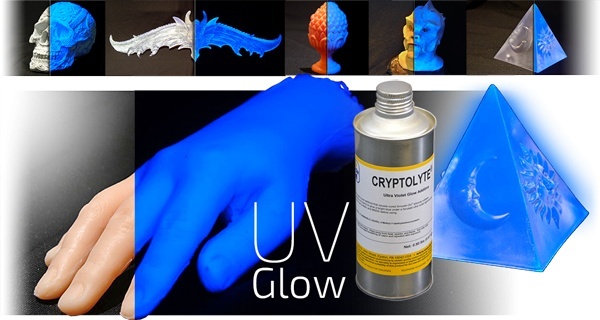 For example, Cryptolyte can be added to Crystal Clear water clear resins and the glow effect will not be evident until the casting is illuminated by a UV light source. 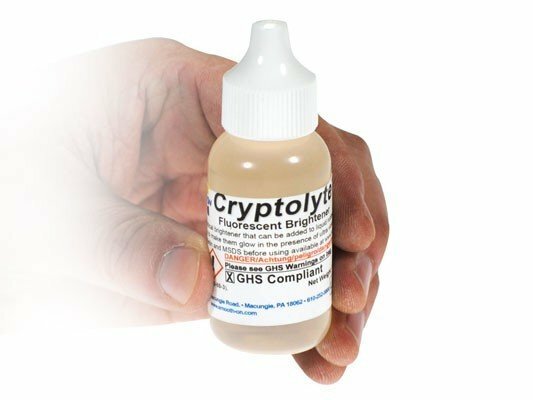 Important: Best glowÂÃ‚Â effect is realized when Cryptolyte is added to clear (i.e. 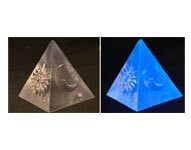 Sorta Clear silicone or Clear Flex urethane rubber) or translucent materials (i.e. 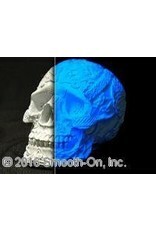 Smooth-Cast 325 resin). 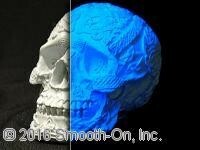 Applications include special effects, Halloween mask and prop making, theme displays and security (you can make parts that are virtually undetectable in normal light but glow under UV black lighting). Warning: This product is flammable. Exercise extreme caution and follow safety protocol for handling flammable liquids. Glow in the dark. Refer to MSDS for further safety information.